There are a lot of factors that play into the timing of when you should start thinking about changing your stings and cables. More than anything, how much you shoot plays the biggest part. The strings and cables are put through a lot of stress during each shot you take. This repeated stress on the strings shot after shot can take a toll on your strings over the course of a year. Depending on which bow I am talking about, my target bow or my hunting bow depends on when I change my strings and cables. On my target bows I like to start each season off with new strings and cables. I will change all of my strings and cables usually at the end of October or the beginning of November. I change my strings and cables on my tournament bows each year regardless of how they look. I know that I have put many thousands of shots through these bows and they have been put through a lot of stress. This also helps me start each season knowing that I won't have to worry about my strings for some time to come. As far as my hunting setups I usually start getting everything setup around the beginning of July. Again I change my strings and cable every year around July, whether they look like they need it or not. I know the stresses that I have put them through the year before. The last thing I want is a issue while out West on an elk hunt or on a whitetail hunting trip in the Midwest. I change my strings in July so I have plenty of time to get them tuned, shot in and all the bugs worked out before fall. There are a lot of things that you can do to help the life of your strings and cables. Make sure that you inspect your strings before each use. I have seen a lot of unexpected things throughout the years and most of the time it could have been avoided. Tip 1: Usually your strings will begin to fray, the serving will separate or you may have issues with accuracy or tuning. Most of the time I keep an eye on the cables where they go through the cable guard or roller guard, this area gets a lot of wear and friction. Tip 2: Most people don’t think about where they store their bow. Try to keep your bow in a climate controlled area. I've had a lot of people tell me they opened up their bow case and their bow had just blown up. Most of the time they had it stored in a attic or in their car on a hot day. Strings and cables are very sensitive to heat, and if you leave your bow in a hot car it will effect the strings and cables. Tip 3: If you do properly maintain your strings waxing them periodically, they can last you a couple of seasons if you don’t spend as much time with your bow as I do. Waxing your strings will help keep the string from drying out and fraying which will increase the life of the strings and cables. 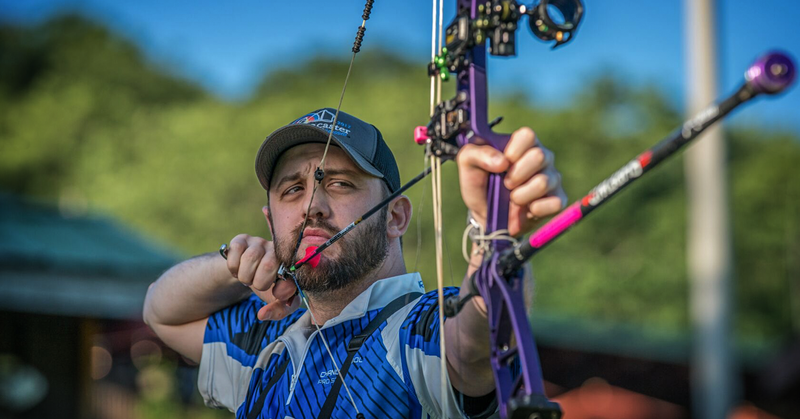 When the time comes and you have made the decision to replace your string and cables, make sure that you take your bow to a local pro shop. Replacing the string and cables requires a bow press and the bow will need to be tuned. If not installed correctly, the bow could feel as if it has no valley, no let off, or spongy with no back wall. Installing strings and cables can be very critical to the performance of the bow and should be done by a a local pro shop.